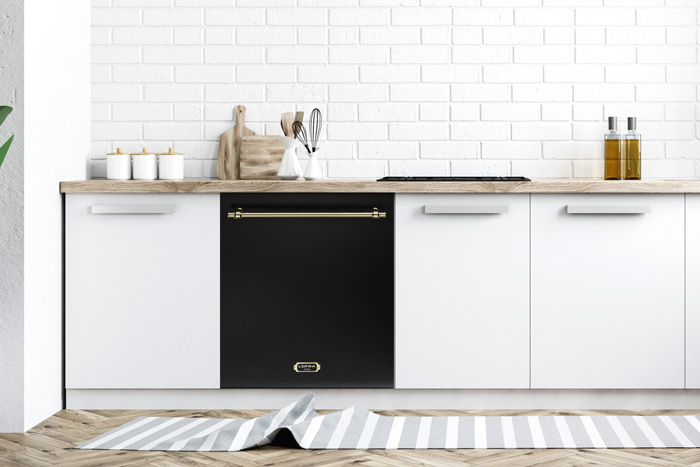 Looking for a dishwasher that will match your range cooker? 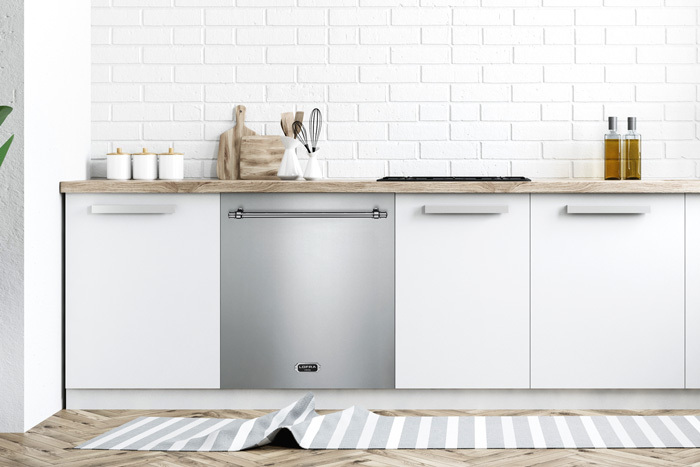 We offer exclusive dishwashers in different sizes and colors, that will match the cooker design you’ve chosen. 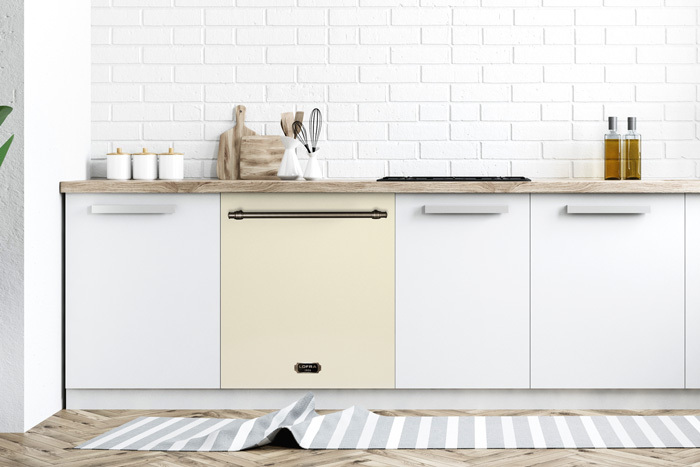 Looking for a refrigerator to complete your kitchen? View our selection of refrigerators! Dishwasher from Lofra Dolce Vita. With an A++ energy rating, this dishwasher is on the right end of the energy scale. It has 9 different programs, including quick wash and ECO programs. The machine includes 14 different baskets for loading. The noise level is only 44 dB. This is a top-grade dishwasher.